You are here: Home / News / Venture Into Valuation – What does a property Valuer do? Venture Into Valuation – What does a property Valuer do? We asked one of our Valuers to summarise the property valuation process and what they did as a Valuer. The article was written by Jack Gibson (RPV), a Residential Valuer from Adelaide. 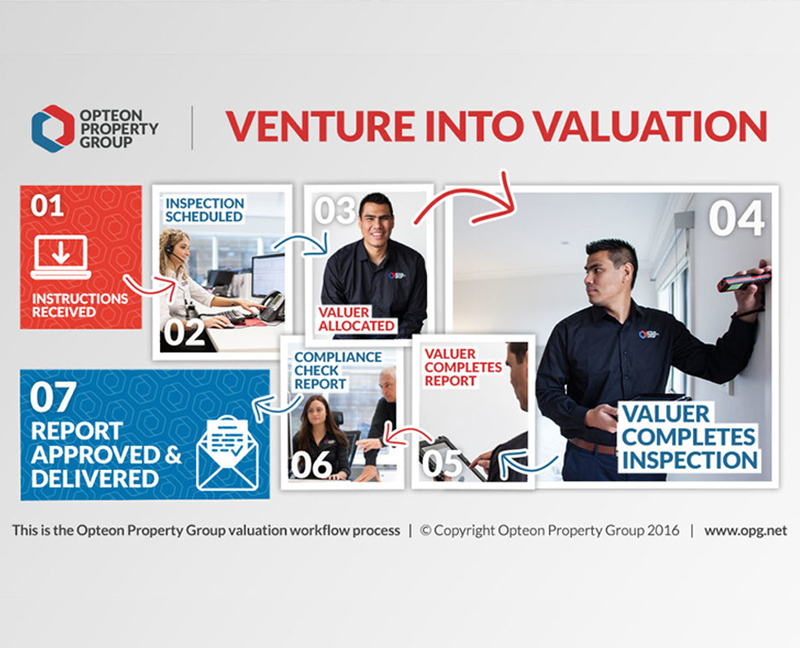 We have also produced a 2 part short video series – Venture Into Valuation – documenting the valuation process and starring another one of our Valuers, Henry Pinto (CPV), a Managing Valuer from Sydney. In my everyday dealings with clients I have noticed that there are a number of people who are not familiar with property valuation or what I do as Valuer. This is not a complete shock, as obtaining a valuation is not something you do every day, but most of us will require a valuation at some point in our lives. The following is a brief explanation of property valuation, how the valuation process works and the importance of attaining valuation advice from a qualified professional. When do you need a property valuation? When purchasing a property or refinancing, your bank may require a valuation of your property to ensure the security value of the property adequately covers the loan. When you are contemplating selling your property so you can set an informed asking price for the property. Before you make an offer to buy a property, so you pay a market price for a property and you are comprehensively aware of exactly what you are purchasing. Capital Gains Tax (CGT) is the tax payable on the capital gains from the sale of an investment property. A valuation will need to be conducted and provided as evidence to the Australian Tax Office to determine the change in value of your investment and in turn determine if you are liable to pay (CGT). An independent property valuation might be required to aid in the settlement and litigation of legal proceedings between parties with a legal interest in property for example divorces, business venture splits and joint investments. Commonly required to either determine the amount of insurance required for the purpose of establishing insurance cover or to determine the sum to be paid following loss or damage. The lending institutions (your bank) will typically use an independent or third party property Valuer, who will often be appointed by a panel management company to ensure an un-biased and transparent valuation. What does a property Valuer do? Once the inspection has concluded, the Valuer will examine all relevant data applicable to the property such as zoning and planning restrictions, and check for any risk ratings. The Valuer will then compare the attributes of your property to recent comparable sales in the surrounding area to determine a market value. A property valuation report is a legal document which includes a legal description/Title Reference of the subject property, along with land, location and improvement characteristics. Property valuation reports will comprise a number of ‘comparable’ sales evidence to support/justify the valuation figure. It is common for a valuation report to include a rundown of recent economic activity, including the current status of the cash rate and other data that is likely to affect the local/national property market. Thanks again to Jack and Henry for taking us through what they do every day as Valuers. We hope that this has given you a better understanding of the valuation process. Please contact us if you would like to find out more about our services. https://www.opteonsolutions.com/au/wp-content/uploads/sites/3/2016/11/valuation-process-infographic-2.jpg 684 845 inmotiondesign //opteonsolutions.com/au/wp-content/uploads/sites/3/2016/03/opteon-logo.png inmotiondesign2016-11-17 11:00:222018-01-04 14:26:00Venture Into Valuation - What does a property Valuer do?